TrafficPatternsLT™ is a preformed thermoplastic pavement marking material that provides a more durable and skid-resistant surface than typical epoxy coatings or paint. Application is simple with a propane heat torch or an infrared heater. It can be applied over newly-stamped asphalt or used as a refurbishment where previous coatings have worn away. This durable alternative eliminates the need to repaint again and again. Durable alternative to coating over existing or newly-stamped asphalt or concrete. Material shall not be stamped with templates or grids; rather when heated, it will contour to the impressions already present in the substrate. 90-mil thickness; 2’ x 2’ sheets. High skid/slip resistant for safety. As material wears, new anti-skid elements are exposed. Enhanced durability provides optimum wear in adverse conditions. Apply with infrared heater or propane torch. 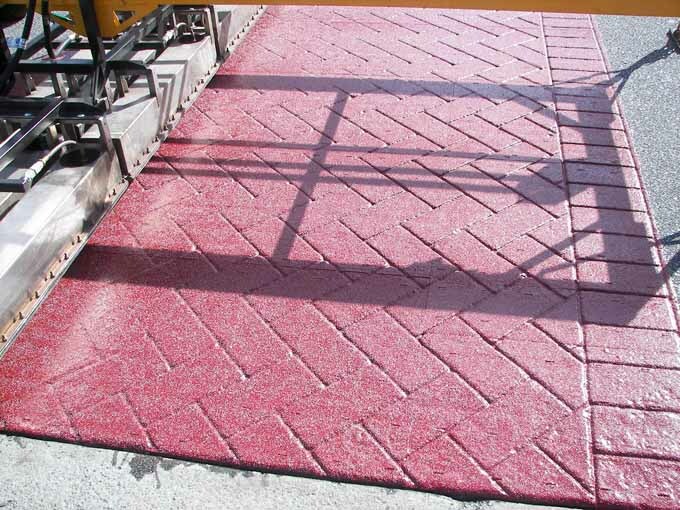 ADA compliant – Pedestrian and wheelchair friendly surface. 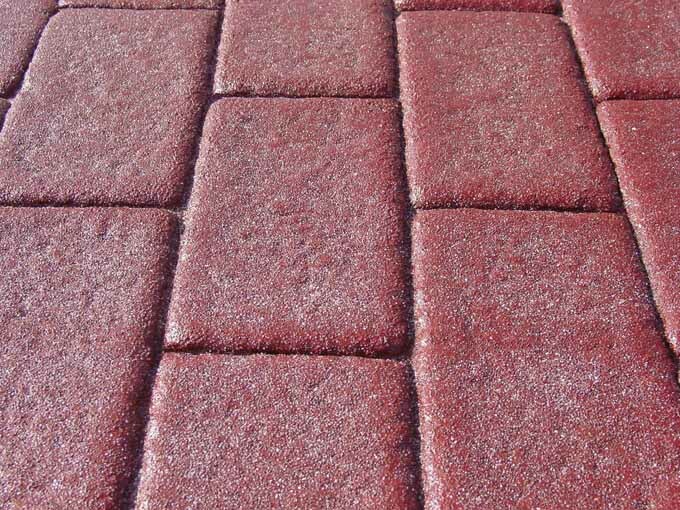 Eliminates the maintenance and safety concerns of loose pavers. All preformed thermoplastic materials are made at Ennis-Flint’s manufacturing facility which is ISO 9001:2008 certified for design, development and manufacturing of preformed thermoplastic. Quality, value and long-term performance are built into the marking. Anti-skid elements are added at time of manufacturing for optimized application at the jobsite.